Mr. Franklin has over 36 years of experience in geologic and geophysical investigations in such diverse areas as California, Utah, Nevada, Alaska, Baja California, and mainland Mexico, as well as offshore areas of California. He has performed detailed geotechnical work throughout southern California, including Los Angeles, Orange, San Bernardino, Riverside, San Diego, Ventura and Imperial counties, as well as Kern County, and Mono County in northeastern California, and Mexico. This experience includes active and potentially active subsurface fault investigations, soil stratigraphy, landslide and slope stability investigations, stability investigations for mines and open-pit mines, port facilities, oil & gas projects, seismicity and liquefaction studies, subsidence and fissuring investigations, rippability evaluations, and forensic and expert witness services. Mr. Skelly has over 36 years of experience with development projects throughout California and Mexico, with extensive emphasis on coastal engineering. Prior to joining the GeoSoils, Inc. team, he was a research engineer at the Center for Coastal Studies at Scripps Institution of Oceanography for 17 years. Mr. Skelly has extensive experience in producing environmental documentation concerning coastal projects on the federal, state, and local level. Mr. Skelly is an expert in coastal processes (waves, tides, beaches, and sand transport) and is one of the few engineers who regularly perform coastal hazard and wave run-up studies for shoreline development. Mr. Guatelli has over 30 years of geotechnical and civil engineering experience, including field exploration, design and forensic analysis, design and construction observation and testing, in both private and public arenas. He has successfully provided engineering consultation for schools, military facilities, residential development, and public works projects. All geotechnical aspects of residential construction, planning, and design are included in his experience. He has consulted on flood control channels, open pit mines, slope stability, settlement evaluation, seismic hazards evaluation, and foundation recommendations. His projects have included infrastructure - roadways, pipelines; port facilities; oil and gas projects that include drill rig pads and substructures, associated storage tanks, and transmission pipelines; and design of geogrid, tieback and soil nail walls. His field and office work has also included environmental evaluations of existing facilities (Phase I/II). Mr. Greer has extensive experience with land use planning, hillside subdivisions, landslide investigations, liquefaction analyses, and geologic/fault investigations as they pertain to future commercial, residential, and roadway/highway development. This includes a robust background in geologic techniques to evaluate bedrock, and groundwater conditions pertinent to development. 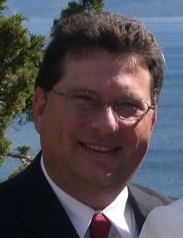 He has been involved with geotechnical studies in soft-rock and hard-rock sites for proposed residential, commercial, and industrial developments, retention basins, feasibility studies, septic, infiltration, hazardous waste (Phase I/II) and oilfield projects throughout southern California. Mr. Crisman has over 25 years of pertinent experience, including staff and project level assignments in engineering geology; including aerial photograph interpretation, field investigations, research, report preparation, and project management in the San Diego, Orange, San Bernardino, Riverside, and Imperial Counties. Mr. Crisman's experience includes staff and project level assignments in engineering geology; including preliminary geotechnical feasibility studies, grading/earthwork construction, soil stratigraphy applications, fault hazard investigations, landslide investigations, forensic investigations, hydrogeology, geophysical exploration, and environmental. Project level assignments include project management, consultation, and liaison with developers, municipal agencies, contractors, and engineers regarding geotechnical aspects of various projects, throughout port, coastal, and inland areas of southern California. Mr. Boehmer's experience includes management of surface and subsurface explorations to ascertain geologic and geotechnical conditions as they pertain to future commercial, residential, and highway development, and evaluation analysis, surface and subsurface geologic mapping, drilling, sampling, and testing in the field to evaluate soil, bedrock, and groundwater conditions, geologic/geotechnical cross-section preparation and analysis, evaluation, and conclusions, and recommendations of favorable and unfavorable geotechnical conditions. This experience includes active and inactive fault analysis, soil stratigraphy logging, landslide location and analysis, coastal bluff retreat and slope stability, and cut/fill slope stability, as well as initial rough and precise grading plan review of future development with emphasis on geotechnical advantages and constrains, report writing and review, including findings, conclusions, and recommendations, as well as forensic investigations. In addition, field inspection, geologic mapping and analysis of collected data associated with manufactured slops, subdrain installations, soil removals, and cut/fill transition lots and roadways within land undergoing the in-grading phase of development has also been performed. Water percolation/infiltration testing analysis of test data, and design of sewage and storm water disposal systems for future residential development is also included in Mr. Boehmer's experience. Laboratory assignments for the determination of classification, expansion, direct shear, maximum density, etc., are further included in Mr. Boehmer's repertoire. Mr. Smith is uniquely qualified to provide geotechnical consulting support with his wide array of experience and background. He has worked with both the public and private sectors. He has successful provided engineering consultation for large and small residential development, schools, facilities, and public works projects. His use of state-of-the-practice software coupled with his ability to interpret engineering and geologic data provides his clients with innovative solutions to the most challenging projects. He brings valuable field engineering experience, including exploration, analysis, demising, and construction observational testing. His projects have included infrastructure - roadways, pipelines, oilfield facilities, flood control channels, bridges-open spaces and parks, schools, housing, and redevelopment projects. For these projects he has developed a d comprehensive knowledge of foundation design, slope stability, and stabilization, and construction of deep foundations (piles and piers) for buildings and bridges evaluation of existing pavement, of site conditions and site-specific seismic hazards review. He has performed investigations including drilling with various kinds of drill rigs and backhoe exploration, to evaluate geotechnical conditions, and performed percolation/infiltration testing for sewage and storm water treatment. He has presented his findings and recommendations to private and public clients and managed field teams for data collection. His field and office work has also included environmental evaluations of existing facilities (Phase 1/II). Mr. Page is experienced in residential and commercial construction, geotechnical, and environmental engineering, conducting preliminary geotechnical/geologic field investigations, subsurface drilling operations (large and small diameter). Also, has extensive background performing, organizing and managing drilling/excavation projects (logging with USCS, sampling Resting, permitting), mapping, cross-sections. aerial photo interpretation, fault investigations, and forensic investigations. Skilled in computer programming and operation (i.e., STABL 7/Slope-W, DIGIPRO/DATAMATE software for inclinometer data, Adobe Illustrator, UBC Seis, EQFault/EQSearch, etc.) Trained and Certified Radiation Safety Officer for operation of nuclear density gauges. Experienced in groundwater modeling involving piezometer reading/sampling/well installation and data collection/analysis. Also, Mr. Page has performed environmental soil/soil vapor sampling and transport, well permitting and chain of custody transfer. He has been involved in geotechnical studies with varied developments, retention basins, feasibility studies, septic, infiltration, and hazardous waste projects in southern California. This includes site reconnaissance and inspection, aerial photography review and analysis, background document research and review, consultation with local and federal environmental and hazardous waste agendas, report writing and review, including findings, conclusions, and recommendations for project permitting and development, as well as forensic investigations.